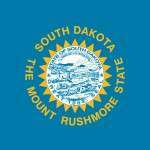 South Dakota Poker – Is Online Poker Legal in SD? So, what do poker players have to look forward to in South Dakota? The only exceptions are (poker) games exempted or permitted by law. Does that include your favorite way to play poker? Keep reading – we’ll tell you. Home poker games are not exempted in a technical sense, so by default that makes them illegal anyways. With that said, during my research I didn’t find any stories about cops busting home games. So, it’s possible you could get away with the occasional game if it’s just you and your buddies (no strangers in case a cop is undercover) and you were quiet about it. But you do so at your own risk. There are no rules for online poker, either. Once again, by default, it is consider illegal. 22-25A-7 Internet betting by person engaged in gambling business prohibited . Except as provided in § 22-25A-15, no person engaged in a gambling business may use the internet or an interactive computer service to bet or wager. 22-25A-8 Establishment of internet gambling business prohibited. Except as provided in § 22-25A-15, no person may establish a location or site in this state from which to conduct a gambling business on or over the internet or an interactive computer service. (2) For a second or subsequent offense, a Class 5 felony. We don’t expect things to change, either. At one time, a representative for the governor said he might look at online gambling regulation. But he had no immediate plans to do so. Then he quickly changed his tune. After the Department of Justice released a statement saying they changed their minds as to their interpretation of the 1961 Wire Act, the governor’s office sent a scathing letter to the Chairmen of the Committee (in the House of Representatives) asking that they revert back to their original position. They say they’re concerned about gambling addiction, fraud and terrorist financing. But their biggest concern is for how their local attractions (Mount Rushmore and the Black Hills most notably) and casino destinations (such as the famed Deadwood Casino) would be affected by regulated online poker. They think that online poker would force people to stay at home. But the point is, don’t expect South Dakota to change their minds anytime soon. Poker players will have to get out of the house and drive to one of the many local brick and mortar casinos the state has. Fortunately, there are plenty of commercial and tribal casinos in South Dakota. And many of them offer poker. But keep in mind they do have laws limiting how much you can get. The limits are high, though – much higher than other states we’ve reviewed. You can bet as much as $1,000 (up from $200 just a few years ago) during any single hand of poker, dependent on the game and stakes of course. Other than poker you’ll find a large selection of casino games. That includes table games (blackjack, craps, roulette, etc), video poker and slots. South Dakota also has pari-mutuel horse betting, a state lottery and charitable gaming (not including poker), too. Things aren’t looking great – at least for poker players. Experts suggest we’ll see online poker regulation in 2018 or 2019. But because it doesn’t look like state officials want to expand into online gambling. Their focus is in expanding and bringing people to their brick and mortar casinos.